have anybody have problems capturing video footage on the wii when playing gamecube games. most of the games i play seem to be abit dark. i am useding a wii2hdmi adapter with avermedia hd 985 capture card. here two video clips to show what i am talking about. also if i get my gamecube modded with the hdmi or the gamecube adapter that output into hdmi that metaljesusrock used on his console. will that show a better quality picture alone. then i need a component to hdmi box which will be too much to do. It is. 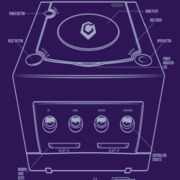 Gamecube component is better than Wii, but also much more expensive. The HDMI mod is a great middle ground in price and has the best picture quality. That's not really the reason why quality is better though. GCvideo has direct access to the XFB contents, and outputs a minimally processed video signal (all it really does is linear interpolation on chroma + conversion to RGB). The Wii is known to have a bad video encoder that produces worse component signals than the GC cable. See this for a comparison: https://shmups.system11.org/viewtopic.p ... 2#p1254152. GCvideo should be very close to the YCbCr source. yeah because the picture quality is abit different and other sites like nintendoage are telling me that the wii make games abit darker then the gamecube. i am trying to get my hands on the box that a guy just crack that just hook up the digital plug where the component cables suppose to hook up and output too hdmi. this would be great for me when i capture the footage.